Montalcino - Siena - Sant'Angelo in Colle. Hilly lands enjoying a favourable southern exposition. 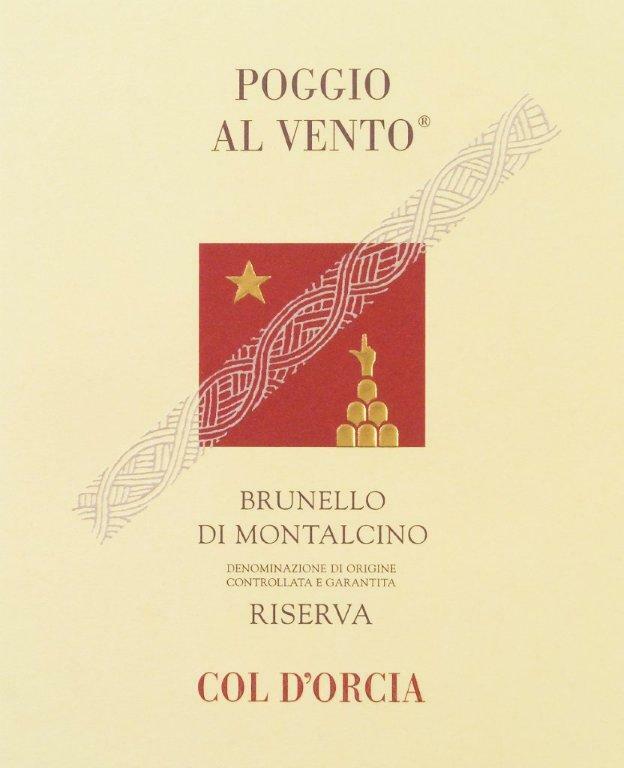 Poggio al Vento. Average height: 350 m above sea level. Planted in 1974. Vintage characterized by the rough frost of April 16th, which drastically reduced quantities luckily to the advantage of quality. A wave of heat on the last week of July and the first of August considerably anticipated harvest. Particular clones of Sangiovese, locally called “Brunello”. Vintage 2001 yield: 53 q/ha. Manual harvest with rigorous selection of the best bunches, in the vineyard at first and subsequently on the selection belt in the cellar. Fermentation at controlled temperature below 30°C. 25 days of maceration in wide and short stainless steel tanks (greater contact between skins and must with a better polyphenolic extraction), daily punching down in the morning and pumping over in the evening. 4 years in Slavonian and French oak casks, followed by over 2 years of refinement in bottle, all of this in a conditioned environment. Deep and dense ruby red with light garnet hues. Inviting, enveloping and still youthful. The great Sangiovese fruit, perfectly ripe, prevails on the intriguing oak spices. A unique combination of power and elegance. Structure with important but delicate tannins. It lingers on the palate with a panoply of small and pleasant sensations.